Rooibos tea is enjoying increasing popularity around the world. Annique only sells Super Export Grade Rooibos tea which contains at least 80% Rooibos leaves. Some of the Rooibos tea found on Supermarket shelves contain less than 20% leaves. 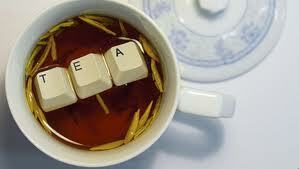 This is critical since the active ingredients in Rooibos are essentially found in the leaves not the sticks! *If you suffer from diabetes or elevated cholesterol or already take diabetes medication, you should consult your health care practitioner before using cinnamon in large quantities. *Pregnant and breastfeeding women should consult their health care practitioner before using Balance Tea. All of the Annique Rooibos herbal teas are available at Annique Day Spa.